‘How does the man who drives the snowplough get to work in the morning?’ In Cold Pursuit, this knotty question remains unanswered. 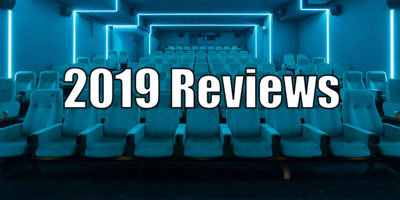 Some viewers also complain that they remain in the dark about the tone of the film. Perhaps it’s the grim Scandinavian sense of humour? The film is reminiscent of the weirdness of the Coen Brothers (Fargo obviously comes to mind), those skilled exponents of Scandi-Minnesotan dark absurdity. The sudden, suspicious deaths in the tranquil community also get the attention of eager new Police recruit Kim Dash (Emmy Rossum), much to the dismay of her decidedly easy-going partner, veteran cop John ‘Gip’ Gipsky (John Doman), who just wants a quiet life. 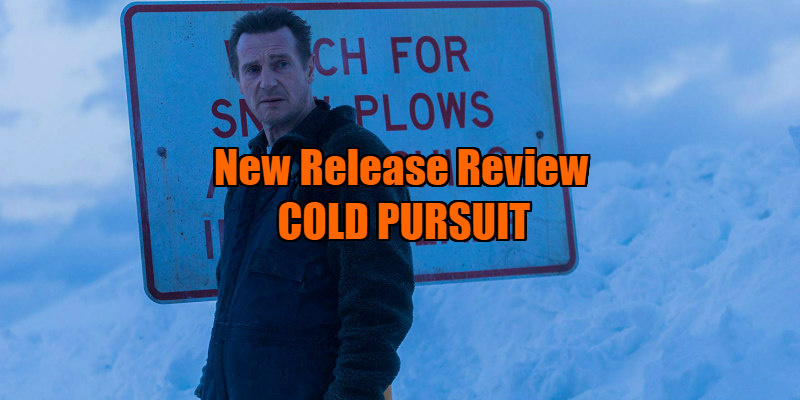 I use the word crime ‘caper’ on purpose, because another aspect that distinguishes Cold Pursuit from other Neeson revenge flicks is its thread of black humour. There is rarely a killing that isn’t tinged with some degree of absurdity or odd comedy. This mood is encapsulated in a scene where Nels and a bloodied drug dealer collapse in laughter in the midst of a vicious beating, because Nils is exhausted and wheezing from his brutal exertions upon his victim, and is almost as incapacitated as he is. Perhaps it is this odd injection of humour that flummoxes some viewers as to the tone of the film. However, a Scandinavian director used to the struggles of a harsh winter climate seems comfortable with this juxtaposition - perhaps offering the notion that, in such dangerous and severe conditions, among the unrelenting dominance and majesty of Nature, if you let your guard down, Nature itself will kill you, assuming someone else doesn’t get to you first. Strengthening the ‘Coen Brothers’ feel of the film is the presence of William Forsythe as Nels’s brother Brock ‘Wingman’ Coxman, a retired gangster enjoying the spoils of his crimes. These include Ahn (Elizabeth Thai), a slight but bellicose Thai wife. (We may remember Forsythe as the younger brother to John Goodman in the Coens' comedic masterpiece Raising Arizona). The ‘Wingman’ proves to be a useful source for Nels’s naive entry into the world of organized crime. Bateman’s turn as smarmy gangster ’Viking’ flips between the worst of un-self-aware modern narcissism and a ‘right-on’ trendy lifestyle. He’s a vegan and imposes unpalatable restrictions on the diet and upbringing of his clever young son Ryan (Nicholas Holmes), rebuking his henchmen for sneaking treats into little Ryan’s school lunch. Viking is extremely attentive to his intelligent son in as much as he sees him as an adjunct to himself, but doesn’t make the slightest effort to empathise with him. Viking’s beautiful Native American ex-wife Aya (Julia Jones) shares the parenting in a much more natural way. Each time she shows up, she coolly takes apart the pretensions of the petulant Viking, leaving him looking like the spoilt brat that he is. In contrast to Bateman’s arrogant and entitled Viking, his rival in crime is Jackson’s White Bull - the white-haired, venerable chief of a Native American gang. He made a deal with Viking’s father years ago, which he has faithfully adhered to, but when his son is killed during the escalating violence, he finds himself pitted against Viking for control of drug crime in Denver and Kehoe. Apart from the revenge plot and thread of black humour, director Moland and screenwriter Frank Baldwin (adapting Kim Fupz Aakeson’s original script) craft a narrative about the rebounding consequences of violence, where the differing relationships between fathers and sons are the catalysts. The biggest disappointment of the film is the under-use of Dern. She appears at the beginning of the film as Nels’s loving wife; she isolates herself in mourning the death of their son, then disappears. The role seems as bare as the fitting note her character leaves behind. Likewise, the use of Rossum as Dash, the astute, young Kehoe detective. Her investigations create no real tension in the plot and barely have any purpose in the story except to have her wander into certain places at convenient times. The main function of the women in this film seems to be to be in trying to comprehend the actions of the men, deal with the various issues these men have, and then ultimately clean up the consequences of their violence. 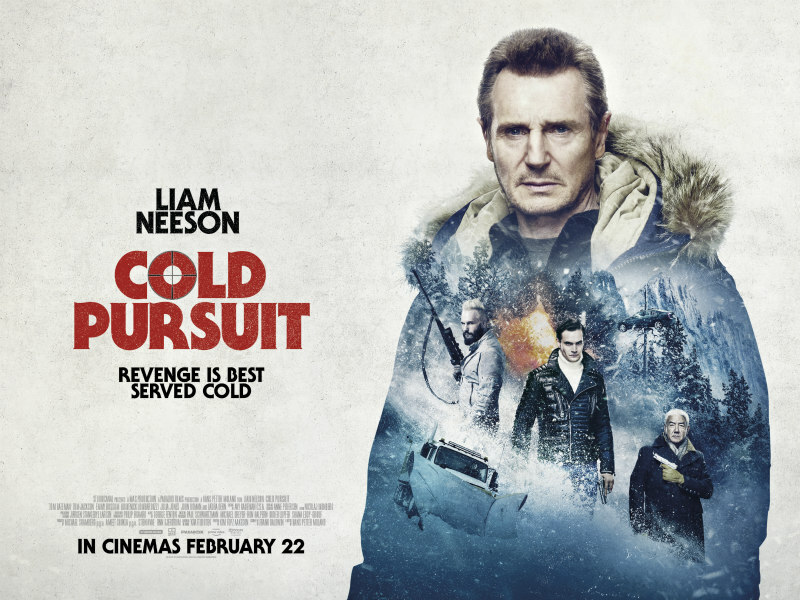 Cold Pursuit is in UK/ROI cinemas February 22nd.